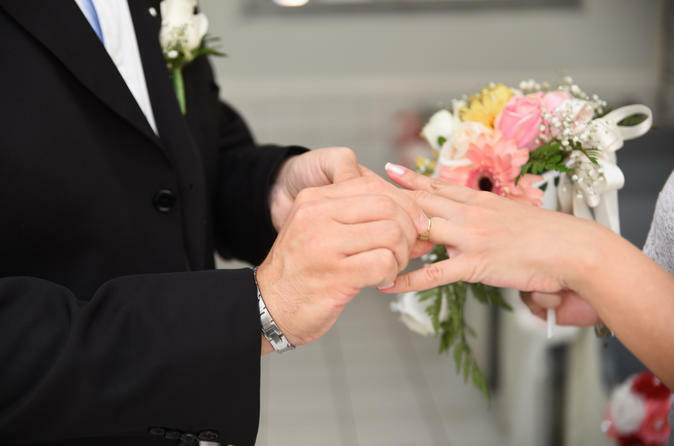 From a simple, traditional Las Vegas wedding to a complete service, this package offers you nine different ways to say 'I do' to the love of your life. With the help of an experienced wedding coordinator, you can create the most memorable wedding; each is conducted by a minister at a Las Vegas chapel and photography services are included. Your wedding day begins transportation to the chapel in a luxurious limousine. Upon arrival, you will be greeted by a wedding coordinator with a rose bouquet and matching boutonniere. Please note: the listed prices do not include an additional minister fee and limo fee.